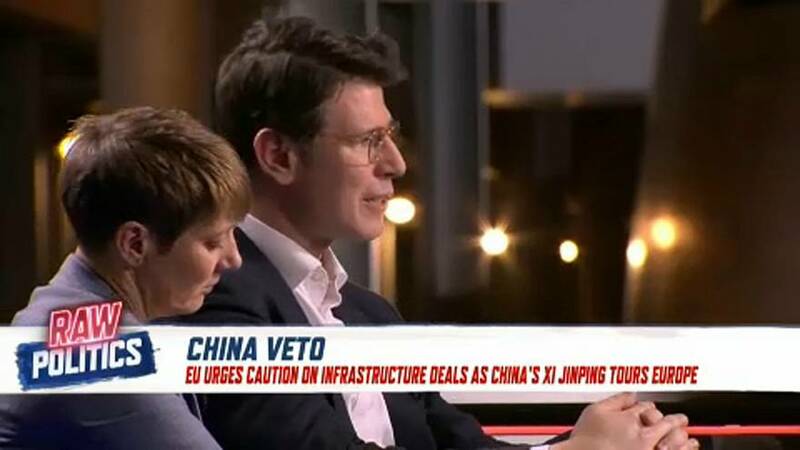 Raw Politics: Did Italy go against EU interests in China trade negotiations? Italy became the first G7 country to sign China’s “New Silk Road” project on Saturday despite criticism from some in the EU. Chinese President Xi Jinping is hoping to gain support for his Belt and Road Initiative, a plan designed to connect Europe, Asia and Africa through infrastructure and investment. “The European Union is a global trading bloc and consequently there are rules around that and there are rules around the appropriateness of trade deals,” British Labour MEP Clare Moody said on Raw Politics. Lucrezia Poggetti, a research associate with Mercator Institute for China Studies, said Italy had ”not coordinated closely and transparently” with the EU in these negotiations. However, she said the agreement was more of a political gesture than a trade deal. During Xi Jinping's visit, Italian Prime Minister Giuseppe Conte signed trade deals with China amounting to an estimated €2.5 billion, according to Reuters. “The memorandum was prepared very carefully with the framework in line with the European Union,” said Ignazio Corrao, an Italian MEP with the Five Star Movement, on Raw Politics.